Very many thanks to Delia Venables at the Legal Resources in the UK & Ireland for recommending my new book Law and Peace. You can read the piece here or below. You can buy the book on amazon. 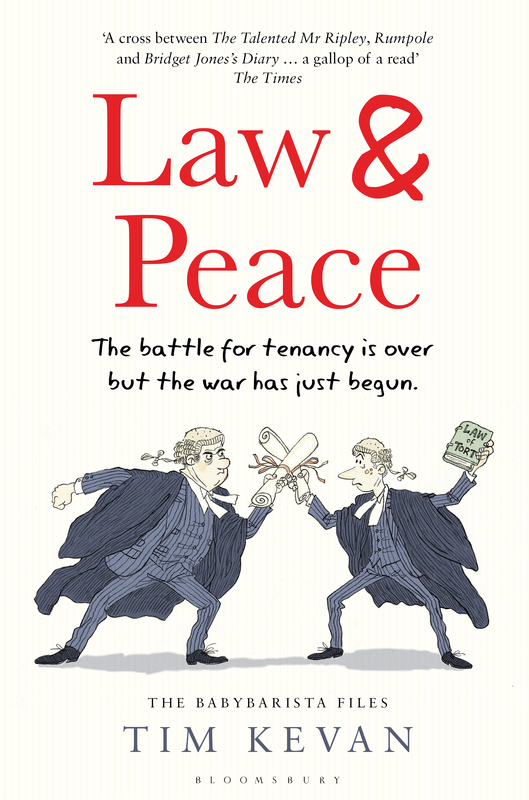 Tim Kevan’s “Law and Peace” (long awaited by afficionados) has just been published by Bloomsbury and is available from Amazon. This is a legal comedy by barrister Tim which follows on from his first book, “Law & Disorder” (under the overall heading of the “Baby Barista files”) which was truly hilarious and fascinating too. Both books appeared in blog form over a considerable period, originally in the Times Law section but (once this went behind a payroll) in the Guardian. There is a launch party for the book on Wednesday 11th May at the Old Bank of England Pub at 194 Fleet Street, London EC4 from 6-10pm. This is open to everyone and there is no need to reply – just come along. (Judging by the last launch, it promises to be a good party). Note to barristers: this is an excellent book to give to parents, children, other loved ones and anyone who is not quite sure what you do all day when you are not standing up in court with a wig on.